At the Laparoscopic Surgical Center of New York, we have a unified philosophy to treat our patients as we would treat our family. Our doctors work together to determine the best techniques for each surgical patient. We work arduously to help our patients feel comfortable and achieve the gratifying results they deserve. Patient 1: The doctors are first rate in terms of surgery and particularly laparoscopic. Mark Reiner, M.D. : It's important that a group has a unified philosophy, and our philosophy has always been that patients count, do good surgery, don't operate on anyone that you wouldn't do the same thing to a member of your family, give them your cell phone number if they need it, take care of them, make sure that the result is good. Patient 2: He gave his personal cell phone number to myself, to my parents, and we have a very close family. I'm very close to both of my siblings and he even gave it to them. Brian Jacob, M.D. : It's not uncommon to see the four of us in the operating room together helping each other out to make sure that that patient's outcome is optimized. Brian Katz, M.D. : We try and promote a professional attitude to our patients. We are dedicated to patient care. Anthony Vine, M.D. : So we like to have that same gratification for ourselves that I think the patient is feeling once they have the procedure that fixes the problem. At Laparoscopic Surgical Center of New York, we offer surgery to correct gallbladder problems, which occur in the biliary tree. We can remove stones from the common bile duct using laparoscopic techniques. This and other types of gallbladder surgery reduce painful symptoms as well as the risk of developing dangerous conditions. Here at our practice we tend to do a lot of operations on the biliary tree or the gallbladder. Many patients, as you know, will have gallstones. These become quite symptomatic. They can even pass into the bile duct and in doing so infect the liver, and occasionally can be a fatal condition. In order to remove the gallbladder, here at our center we do laparoscopic removal of the gallbladder and now I'm doing a lot of robotic removals of the gallbladder. We also have special expertise in something that many people do not do, and that is the removal of stones from the common bile duct. Most people cannot take out stones from the common bile duct. Patients, a day or two after their surgery, have to have a special endoscopic procedure which also is not always effective. We can take out the stones from the common bile duct using something called the choledochoscope. It's a flexible piece of equipment that actually passes into the bile duct, and we can actually see on video camera the stones and extract the stones. Gallbladder disease has a variety of different symptoms from simple acid indigestion or dyspepsia, to pain that radiates from the right upper quadrant to the back or the shoulder, experiencing severe nausea and vomiting. Unfortunately if the stone gets blocked between the gallbladder and the bile duct or in the cystic duct, it can go on to cause an infection of the gallbladder that would require hospitalization intravenous antibiotics and a longer postoperative period. Inflammatory bowel disease affects the intestines. It is classified as Crohn's Disease or ulcerative colitis. At Laparoscopic Surgical Center of New York, we provide inflammatory bowel disease surgery for both types. Inflammatory bowel disease is a condition of inflammation of the intestine. There are two broad groupings of it. One is called Crohn's disease and one is ulcerative colitis. Crohn's disease affects the full thickness of the intestine and can affect the small and large bowel, where ulcerative colitis is a more superficial disease and affects the colon exclusively. Crohn's disease predominantly presents with abdominal pain, may present with infection, may present with severe diarrhea, and it often takes a while before the diagnosis is made. Many times it's treated first medically with antibiotics and different immunosuppressives, but many of these patients will come to surgery. Because Crohn's disease can't be cured by surgery, the primary focus for Crohn's disease is medication, and surgery is reserved for the complications of the disease. Ulcerative colitis frequently comes to surgery both because the patients don't respond to medication or they get tired of the medication, or the patients go on to develop cancer related to the colitis. Laparoscopic surgery for this disease is very effective. The disease can be treated with minimum abdominal scarring by laparoscopy and we can create a so-called ileoanal pouch and completely cure the disease laparoscopically. GI bleeding can occur for a variety of reasons, from ulcers, engorged veins, hemorrhoids, and other lesions. At Laparoscopic Surgical Center of New York, we provide several advanced diagnostic and surgical treatment options for all types of GI Bleeding. Your GI bleeding treatment can be performed laparoscopically in many cases. 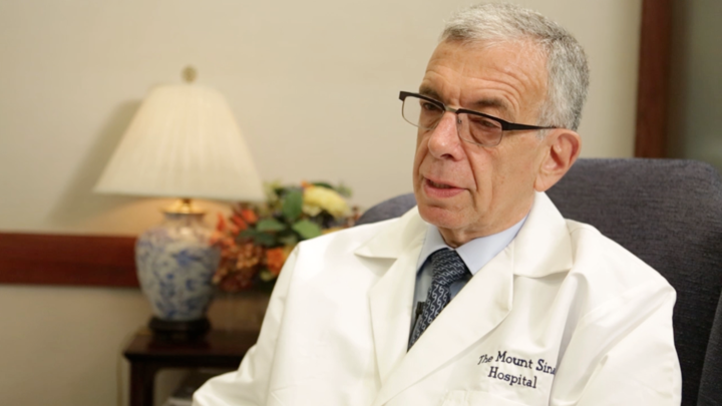 Dr. Anthony Vine: GI bleeding can occur anywhere from the upper intestinal tract to the lower intestinal tract, meaning you can have ulcers or engorged veins, which we call varices, in the esophagus, and you can have simply hemorrhoids or a tear or a fissure from severe constipation. Predominantly these patients that we see are referred by gastroenterologists who have either done endoscopy above, called gastroscopy, or colonoscopy. There are specialized gastroenterologists who do small bowel enteroscopy, which is called a double balloon enteroscopy. Nowadays we even have what's called pill endoscopy. It's a camera inside of a pill that is about the size of an antibiotic pill that one might take, and as it traverses the stomach and the small intestine we not only see the time of how long it takes to get from one point to the another, which can help us decide whether this is in the upper small bowel or the lower small bowel, but it actually takes pictures along the way. All of this data has been transmitted to a computer and analyzed. 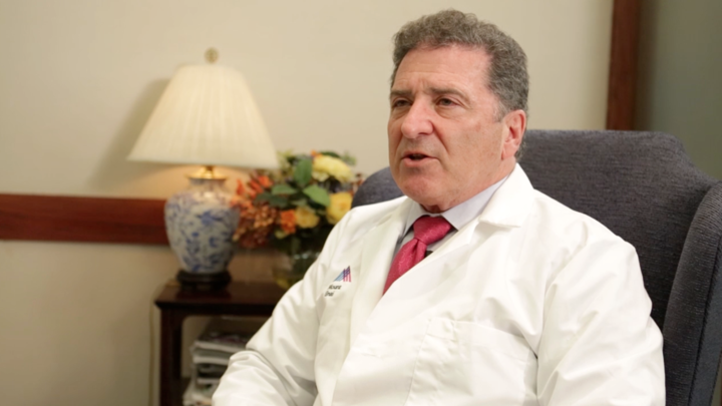 Dr. Brian Katz: In patients over the age of 50, there may be bleeding from a large paraesophageal hernia, so-called Cameron ulcers, or they may have this condition we call angiodysplasia, or very occasionally there may be a cancer that's being missed in the small intestine. 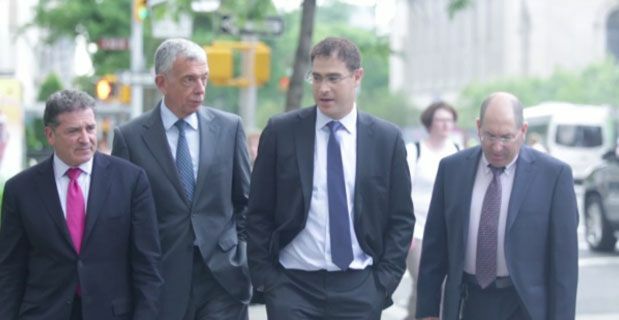 Dr. Zimmer came to Laparoscopic Surgical Center of New York for laparoscopic hernia repair. 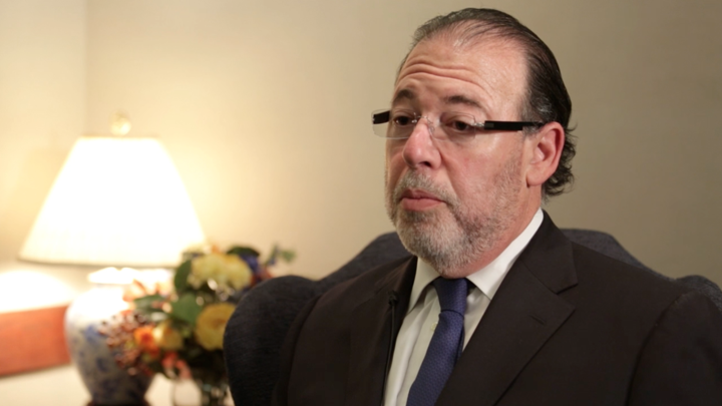 Dr. Zimmer is a prominent radiologist in New York City who found that our surgeons are first-rate. After surgery, this patient felt complete relief of his hernia symptoms and was able to return to work in five to six days. My name is Dr. Gerald Zimmer. I'm a radiologist in New York City and I saw Dr. Vine for a hernia. Subsequently, he performed laparoscopic hernia repair. I would occasionally experience a twinge in that area, and of course, post surgically completely fine. The doctors are first rate in terms of surgery, and particularly laparoscopic surgery. Super recommendations. I was a bit anxious having the surgery but extremely great experience. I was back to work in about five to six days, and subsequently healing nicely and doing well. 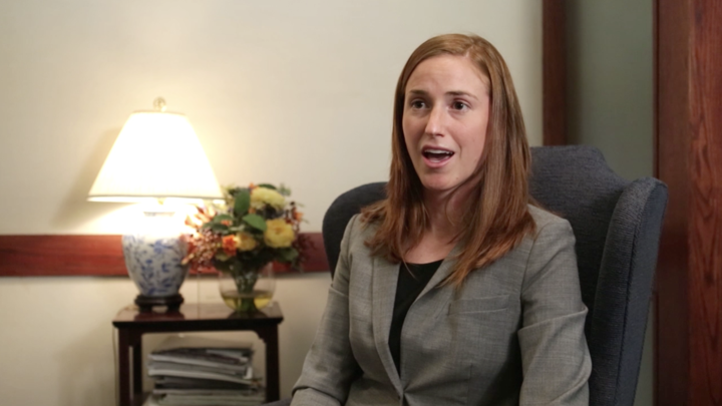 A laparoscopic surgery patient describes her experience at Laparoscopic Surgical Center of New York. This patient appreciated our exceptional patient care and attention. She worked closely with our team during recovery and was able to return to her athletic activities very soon. Dr. Reiner gave his personal cell phone number to myself, to my parents, and we have a very, very close family. I'm very close with both of my siblings and he even gave it to them just to always be there to answer any questions they have. If they couldn't get a hold of my parents and they were worried about me, to be able to call him. And he constantly was checking on me in those next few days when I was in the hospital. And then even after he would call me on a weekly basis just to see how I was doing. And I'm pretty athletic, I like to play in a lot of sports games so always just making sure, kind of even participating in those and doing the things I love, making sure that nothing else internally was going to be an issue. He was fantastic throughout the whole surgery and post-operation process, and then through to today as well. One of our patients describes his struggles with weight throughout his life and his eventual decision to undergo bariatric surgery. This patient came to Laparoscopic Surgical Center of New York to undergo sleeve gastrectomy surgery. 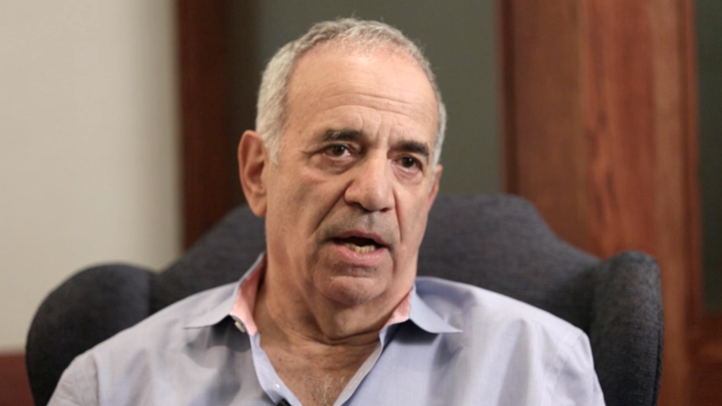 This patient was most delighted by how quickly the results of his treatment presented. My name is Steven Gruenstein. I'm a 60-year-old practicing physician in New York on the Upper East Side. I've been in practice for around 30 years now. I had a sleeve gastrectomy performed by Dr. Brian Jacob. I've struggled with obesity essentially my entire life, as a young boy through my early adulthood, and after trying for many, many years and struggling with it, I decided, under the advice of many doctors, to undergo sleeve gastrectomy. The most shocking thing was the day after the surgery I never had to take diabetes medications again. I was instantaneously off of my diabetes medication. What that did to me was make me feel fantastically awake and alive for the first time in years. I never realized how negatively diabetes was impacting on my life. I was always made to feel perfectly at ease and I was. They have a very kind staff, a very sweet staff, just what you need in a surgeon's office when everybody is really very nervous about what's going to happen. Achalasia is an unusual disease where patients have difficulty swallowing because of a narrowing at the bottom of the esophagus. What we do for achalasia is with five small holes the size of pencil holes and a small camera we're able to go to the esophagus and junction of the stomach and peel away the muscle to allow the inner lining of the esophagus to basically bulge out and have the food go through passively. So now patients will be able to eat. They may have some reflux afterward. We tend to do a type of half plication or half wrap of the stomach to help prevent reflux. Patients are generally more grateful after the surgery that they can eat rather than annoyed that they have a little bit of acid coming up, which we can control usually with one of these antacid pills called a PPI. Probably it's one of the procedures that we enjoy the most in surgery because the patients are so extraordinarily grateful. Here one day before the surgery they could barely eat or swallow and a day after the surgery they're pretty much eating all that they want to eat with some restrictions. At Laparoscopic Surgery Center, we use a device called the Da Vinci Robot to perform robotic surgery. Our robot allows us to perform complex procedures with the precision of robot technology. The Da Vinci Robot can be used in colon resections, bowel resections, hernias, and other treatments. Here at our practice we use a robotic device called the da Vinci Robot. The robot itself is quite amazing in that it allows for 3D imaging, which we cannot do with our regular minimally invasive or laparoscopic equipment. In addition to that, it's a much finer detail. So in addition to 3D, the magnification is better and it's much more exact. There are a variety of major advantages to using the robot. One is that we can rotate the robot hand 360 degrees. As a human we can only rotate our hands 180 degrees, thus by using the robot we're allowed to do finer manipulations and easier and more complex procedures that are allowing this complete rotation of our hand, or actually in this case, the equipment that we're using. We can use all the same instrumentation that we use in a minimally invasive or laparoscopy case and it just makes it much easier. We can take out a patient's gall bladder, we can do hiatal hernia repairs, we can do colon resections and bowel resections with no visible scar at all. It's all done through the umbilicus. Even though it can be done without the robot, the robot makes it so much easier in that it's the thing that has taken over. Most SILS or single incision laparoscopic surgery is now only done with the use of the robot. The other major advantage of the da Vinci is something called Firefly. We can inject a patient with a fluorescent material that actually causes the bile to excrete this, and while we're taking out someone's gall bladder robotically we can actually see the bile duct, see the anatomy and this will prevent inadvertent injury. 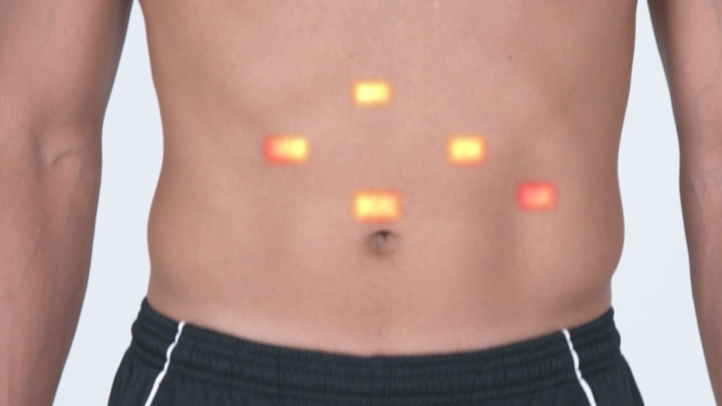 In addition to that, when we're doing robotic surgery for bowel resections by the use of Firefly or this fluorescence, we can actually see the blood supply and we know exactly where to cut to ensure that the patient does well and that where we put the ends of the intestine together it has a greater chance of success. Muscle tears and inflammation can lead to a sports hernia, which can be treated at Laparoscopic Surgical Center of New York. In many cases, we can treat these injuries laparoscopically, while in others they are treated with open surgery. After sports hernia surgery, we help patients during recovery with a physical therapy and exercise regimen. These sports hernias can occur in a variety of different ways, but they are essentially a pull of the pelvis of two different muscle groups, one pulling in one direction, one pulling in the other direction. One is usually stronger than the other. If there is a muscle tear or separation or inflammation, this can often be the cause of a sports hernia. The sports hernias can also be done laparoscopically, though some of the larger ones and more difficult ones need to be done in an open fashion. However, if you do them laparoscopically, most patients can resume full activity in 48 to 72 hours. Usually most patients will be out of work no more than 48 hours. There are no stitches, glue and tape. There is minimal discomfort, minimal swelling. Nothing is pain free, of course. It does hurt for the first few days. But it's imperative that our patients get up, and I like my patients to exercise, do stretching exercises, stationary bicycle, treadmill, yoga, within the first 24 to 48 hours post-surgery. 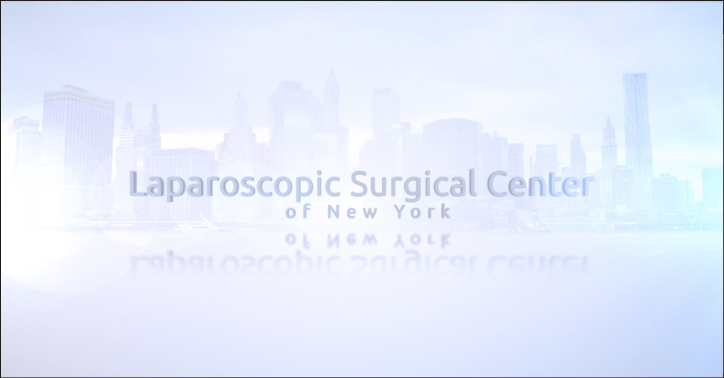 When you come to Laparoscopic Surgical Center of New York for your bariatric surgery, we take every precaution to ensure you are receiving the right treatment for you. Surgical weight loss is a tool that can help you on your journey in battling obesity. We offer LAP-BAND, gastric bypass, and laparoscopic sleeve gastrectomy surgery. Surgical weight loss is something that people choose as a tool to help them on a journey to conquer the disease of obesity. Most people who come in for surgery have been battling obesity for their entire lives or at least a few decades, so when it comes to surgery they're not looking for an easy way out. They're looking for something to help them and we're here to offer that. There are three types of surgeries that we offer. One is the lap band, one is a gastric bypass, and currently the most popular choice is a laparoscopic sleeve gastrectomy. 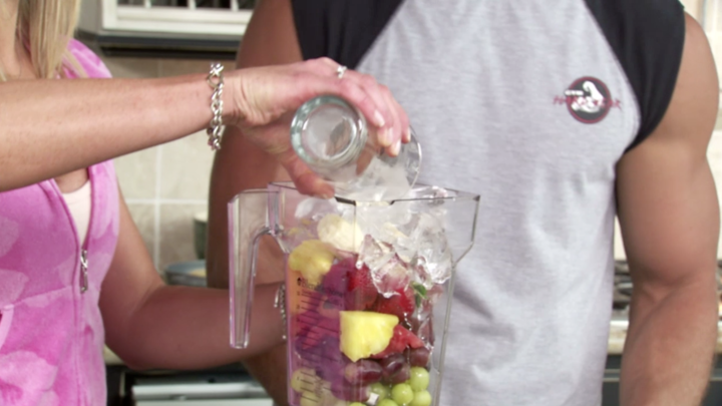 An ideal candidate for weight loss surgery is a patient who is motivated, who understands what it's like to use a tool to help reduce the volume of food that they're eating, to help reduce the number of calories that they're eating, but also is able to add exercise and a healthy diet to that tool. 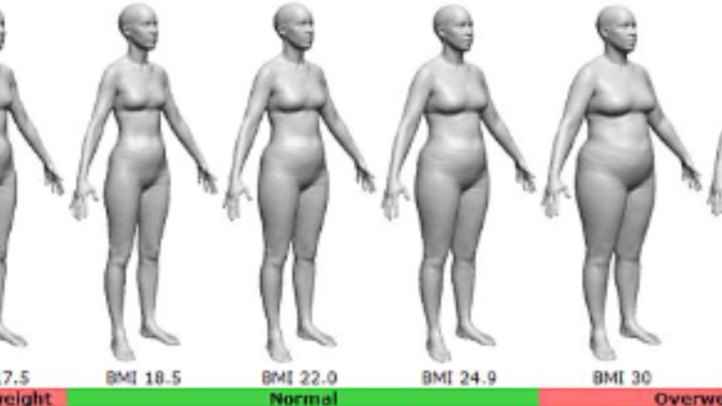 Most candidates today come in with something called a body mass index that is 35 or greater with comorbid conditions. Comorbid conditions can be anything from high blood pressure to diabetes, pulmonary hypertension, obstructive sleep apnea, as well as severe depression, polycystic ovary disease and many others. You don't need to have any comorbid conditions if your body mass index is greater than 40. Patients can use a simple online body mass index or BMI calculator to figure out their body mass index by simply plugging in their weight and their height. Patients who want to have weight loss surgery today have to go through a pretty significant pre-operative process. It's not just tracking your weight loss process, but it's actually making sure you're a great candidate and making sure you're healthy enough for surgery. You actually need to see your primary care doctor, a weight loss nutritionist and a weight loss psychologist, and those are usually mandatory. We help you through that process. In addition to that, you actually need to make sure you're healthy enough to have surgery and so we usually will refer you out to a heart doctor, a lung doctor, and a stomach doctor to make sure each of those three respective organs are healthy and able to tolerate general surgery. 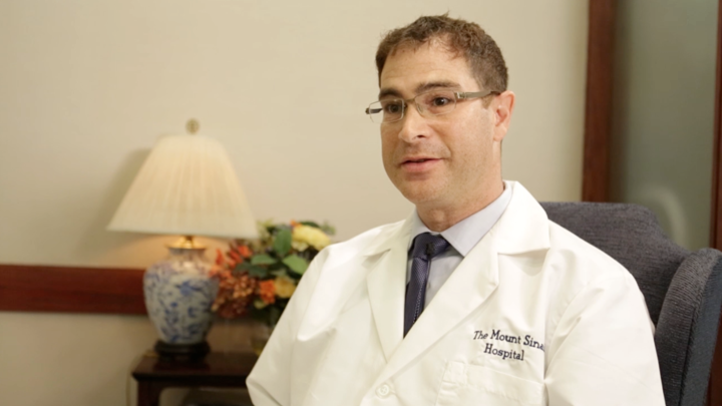 Dr. Brian Katz of Laparoscopic Surgical Center of New York performs inguinal hernia surgery. Ideally, inguinal hernia surgery is performed laparoscopically. Usually, patients can return to full activity within two to three days following surgery. I've been performing laparoscopic hernia surgery for more than 15 years. I've done well over a thousand patients and find it a very effective treatment for hernias. Unfortunately, if the only treatment for a hernia is surgery, patients may present just with a bulge or even with an obstruction. Inguinal hernias are ideally treated laparoscopically. It allows the surgeon to completely replace the area of weakness in the abdominal wall. It also allows the patient to return to full activity. I'm an athlete and I encourage my patients to exercise and really have unrestricted activity after inguinal hernia surgery. The cause of a hernia is mostly unknown. Some patients relay the history of having strained or lifted something, but many times we don't have a reason for why a patient develops a hernia. It may be part of our natural aging process. But the patients can be very symptomatic and generally do not like the feeling of seeing a bulge on their abdominal wall. Surgery for an inguinal hernia laparoscopically takes about an hour and a half, the surgery. The patients are usually out of the hospital or out of our ambulatory care facility in three or four hours and return to full activity in two or three days. Paraesophageal hernia can be treated with hiatal hernia surgery. This surgery is used when a portion of the stomach pushes into the chest cavity, causing a variety of symptoms and potentially causing damage to the stomach tissues. During surgery, Dr. Brian Katz of Laparoscopic Surgical Center of New York will place the stomach tissues back in their proper space. Paraesophageal hernias are a form of hiatal hernia, not the most common kind of hiatal hernia, but a hernia where a portion of the stomach is in the chest. The patients may present with feelings of choking, with unexplained gastrointestinal bleeding and anemia, and occasionally even with so-called incarceration or where a portion of the stomach is trapped and is damaged in the chest cavity. The surgery is performed laparoscopically. It's usually an inpatient procedure. The stomach is brought back into the abdominal cavity. The hole that the stomach entered the chest through is narrowed, and frequently the stomach is wrapped around the esophagus to prevent reflux. It usually involves a one-day stay in the hospital. It usually occurs in people in their 60s and 70s. When symptomatic, the results are excellent. The recovery from the surgery is usually one day in the hospital, and usually in three or four days the patient should be back to regular activity, although we do limit their diet for the first four or five weeks after surgery. If you are suffering from groin pain, the surgeons at Laparoscopic Surgical Center of New York can help. 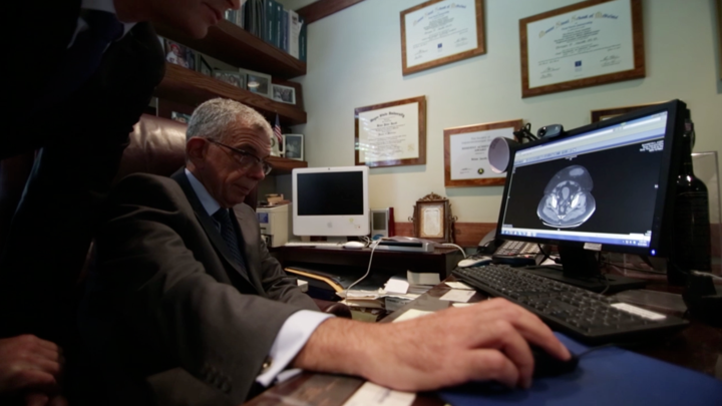 Our doctors will listen to your story and design a treatment plan for you, which can involve sophisticated surgery for groin pain. We address all types of hernias that occur in the groin, which are also known as inguinal hernias. Patients who have been suffering from pains in their groin understand how complex this can be. There are not a lot of doctors out there who know how to treat this. We understand, we empathize, we want to hear your whole story. We want to put everything together, we want to look at old operative reports, we want to get relevant imaging before a treatment plan, which may include surgery, is concluded. Hernias can occur in a lot of different places in the abdomen. The groin or inguinal region is known as an inguinal hernia or groin hernia. They can happen in men and women, and they can present as a bulge or as groin pain. The most important part of this is if you present with pain, before you have a hernia repair make sure the pain is from the hernias. A lot of hernias can present without any symptoms at all, so if you have groin pain and you are an athlete and you have a hernia, make sure you understand that the pain may not always resolve after a hernia repair. Hernias can occur in the belly button, also known as umbilicus. They can occur anywhere in the abdominal wall after an incision was made, and they can occur inside your abdomen, between muscles that separate the chest and the abdominal cavity. We address all these types of hernias. If you've never had a hernia repair before and this is your first time, where you have your hernia repaired and how it's repaired is going to matter most. There are a lot of different techniques out there. You can have a plug-in patch through an open incision. You can have just a patch through an open incision, or you can have a laparoscopic repair. Make sure you talk to your provider carefully about all the options so that you understand which one is best for you. 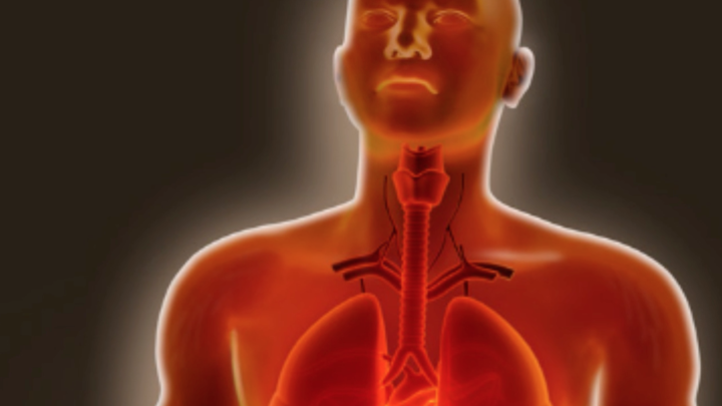 Gastroesophageal reflux disease (GERD) is a common digestive disease. At Laparoscopic Surgical Center of New York, we provide treatment for this ailment, which affects many people. Treatment may include GERD surgery, in the case of a hiatal hernia, as well as lifestyle changes and medication that will help reduce the symptoms of this disease. Gastroesophageal reflux disease, often referred to as GERD by everyone, is a very, very common ailment that afflicts many people. Its main symptoms are acid sensation in the back of the throat, constant belching, and regurgitation of food. The diet restrictions for someone who has reduced pressure in the lower esophageal sphincter or a formal hiatal hernia, we certainly don't want them to eat large meals and have rapid stomach distention. We also don't want them to eat meals late at night, especially before they go to bed, so we recommend that patients not eat any food or snacks for several hours before bedtime. 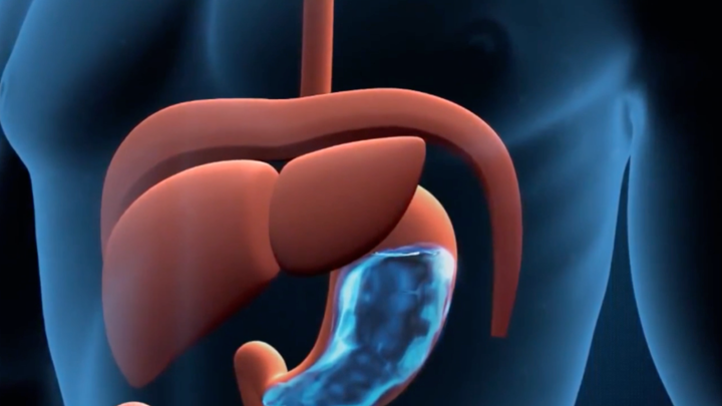 Primary treatment for reflux and hiatal hernia is really what we call now PPIs, or proton pump inhibitors. These are total acid-blocking pills for the stomach and most patients do well on these. Incidentally, when we consider a patient for surgery, we not only look at someone who is refractory to medicine, but actually probably the best indication for surgery for fixing a hiatal hernia or reflux disease is someone who is responsive to the medication. If someone doesn't respond to these very strong acid inhibitors, then they may not be a good candidate for surgery, actually. It sounds paradoxical, but if a patient responds well, then they are probably going to have an excellent surgical result. 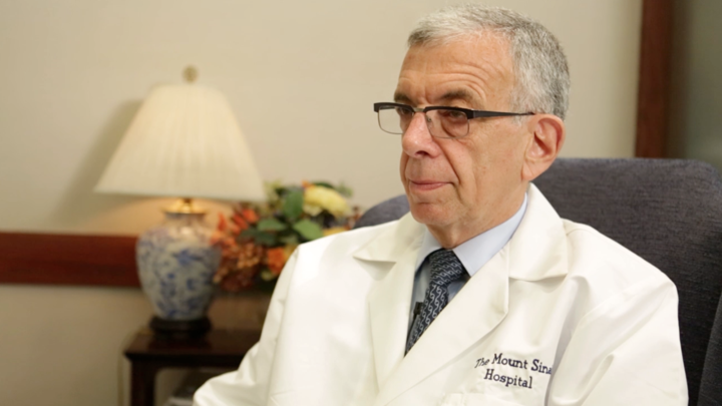 As Dr. Anthony Vine describes, most patients with diverticulitis have an underlying condition called diverticulosis. In many cases, dietary changes and medications can treat this condition. In other cases, surgical diverticulitis treatment is available at Laparoscopic Surgical Center of New York. Most patients who present with diverticulitis have an inflammatory or infected condition of the colon which is due to having the underlying disease of diverticulosis, meaning that they have outpouchings, usually in the lower part of the colon that we call the sigmoid colon, from high pressure. This is often due to our western diet which is a very constipating diet, which is very low in fiber. The primary type of treatment for diverticulosis or even some of the conditions that will cause inflammation to a low grade would be just dietary changes. If patients are usually febrile or have pain, they may be treated with antibiotics. But usually it's a condition of increasing the fiber in the diet and making sure that their bowel habits are more regular. When diverticulitis gets to the extreme and patients are refractory to treatment by antibiotics, where the diverticulitis doesn't resolve or if one of the little outpouchings causes a perforation in which stool can leak out of the colon and cause an infection that we call an abscess, then the patient will be more of a surgical candidate. Also, if they've had more than two to three episodes of severe diverticulitis that brings them to the hospital for intravenous antibiotics, if the antibiotics by mouth are not working then we consider elective surgery.